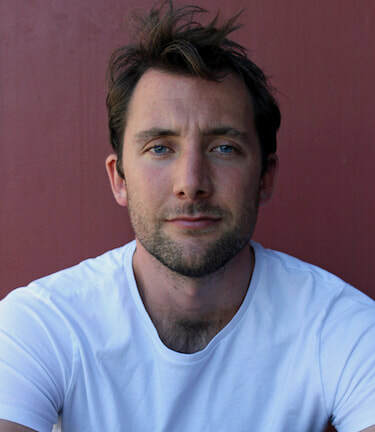 Julian Larnach is a Sydney-based playwright. He is currently a member of the Sydney Theatre Company's inaugural Emerging Writers Group and his most recent play FLIGHT PATHS was staged at the National Theatre of Parramatta in March 2018. Julian holds a Bachelor of Arts in Government and International Relations from the University of Sydney, and a Graduate Diploma of Dramatic Art in Playwriting from the National Institute of Dramatic Art. In 2017, Julian had two world-premiere productions: FOLK SONG, a new musical which premiered Outback Theatre for Young People; and IN REAL LIFE, a new drama which premiered at Darlinghurst Theatre Company. He was awarded the inaugural Emerge: Riverina Playwrights Commission. The commissioned play, BENEATH AN OXBOW LAKE, premiered in Griffith in June 2015 then went on to a sell-out regional tour which was followed by a season at Australian Theatre for Young People. His monologue, SOMETHING I PREPARED EARLIER, was produced for the ATYP’s Voices Project and published by Currency Press. Julian has completed creative developments for new works with Sydney Dance Company, Playwriting Australia and Griffin Theatre Company, as well as dramaturgical secondments with Belvoir and Melbourne Theatre Company. He has been generously supported by the Australia Council of the Arts, having undertaken a JUMP Mentorship and received an ArtStart grant. Julian’s plays have been shortlisted for the Griffin Award for New Australian Playwriting, the Edward Albee Scholarship and the PWA Re-Gen Seed Commission. He was an Affiliate Writer for Griffin Theatre Company in 2013 and Resident Playwright at the Australian Theatre for Young People in 2015.